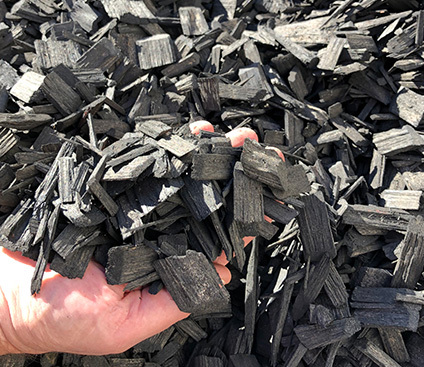 Midnight Mulch is a stunning and contempory mulch. The 10-20 mm black colour enhanced mulch brilliantly highlights structural plants and hedges. Midnight Mulch is colour enhanced with a non toxic dye that is safe to use around people, animals and plants.